(CBS News) Large sugary drinks are on their way out of New York City restaurants. 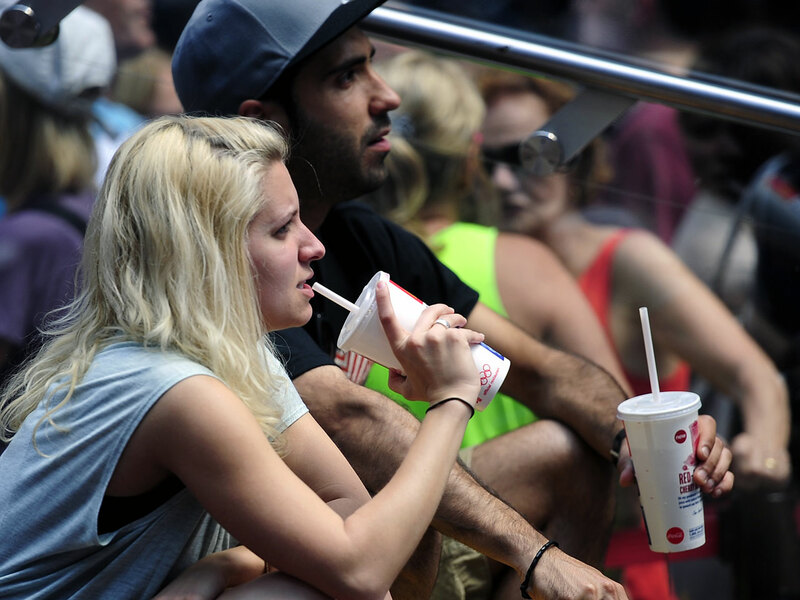 New York City's Board of Health today passed a rule banning super-sized, sugary drinks at restaurants, concession stands and other eateries. The ban passed Thursday will place a limit of 16-ounces on bottles and cups of sugar-containing sodas and other non-diet sweetened beverages beginning in March 2013. BREAKING: Board of Health has voted to approve new sugary drink policy. 6 months from today, New York City will be an even healthier place. The ban will apply in restaurants, fast-food chains, theaters, delis, office cafeterias and most other places that fall under the Board of Health's regulation. People who buy sugary drinks at such establishments will still have an option to purchase an additional 16-ounce beverage. Exempt from the ban are sugary drinks sold at supermarkets or most convenience stores and alcoholic and dairy-based beverages sold at New York City eateries. City health officials called for the ban to combat the obesity epidemic. According to the NYC Department of Health and Mental Hygiene, more than half of adults are overweight or obese and nearly one in five kindergarten students are obese. The restaurant and beverage industries have slammed the plan in ad campaigns and through public debates. The American Beverage Association has previously criticized that soda is being targeted as a culprit in the obesity epidemic over other factors. "It's sad that the board wants to limit our choices," Liz Berman, business owner and chairwoman of New Yorkers for Beverage Choices, said in an emailed statement to CBSNews.com. "We are smart enough to make our own decisions about what to eat and drink." Some medical professionals applauded the ban. "For the past several years, I've seen the number of children and adults struggling with obesity skyrocket, putting them at early risk of diabetes, heart disease, and cancer," Dr. Steven Safyer, President and CEO of Montefiore Medical Center, said in an emailed statement to CBSNews.com. "This policy is a great step in the battle to turn this health crisis around." Nutritionist Karen Congro, director of the Wellness for Life Program at the Brooklyn Hospital Center, told CBSNews.com, "There are pockets of the population who have no idea what a proper serving size is, so this will help reign them in." However she added without educating New Yorkers about obesity risks, the ban may not be as effective as officials hope, given people will still be able to buy sugary drinks such as Big Gulps at 7-11 convenience stores. "Unless they get the educational portion along with it, they won't understand why it's being a banned and how it relates to them personally," Congro said. Some New Yorkers have ridiculed the rule as a gross government intrusion. "This is not the end," Eliot Hoff, spokesman for New Yorkers for Beverage Choices, said in a statement to CBSNews.com. "We are exploring legal options, and all other avenues available to us. We will continue to voice our opposition to this ban and fight for the right of New Yorkers to make their own choices." Ryan Jaslow is CBSNews.com's health editor. 12 theaters across the country played all 21 Marvel movies leading up to the release of "Avengers: Endgame"
"He's creating a very important factual dispute that Congress has no choice but to investigate"